When we are in activity, our mind is always focused in the front of the body. Close your eyes now, you’ll feel your mind is in front because the mind goes through the eyes to look at the world, and through the ears. During activity the mind is mostly focused in the frontal part of the body. For relaxing, we take our mind to the background. You will see suddenly there is something different happening. This is necessary, from time to time. In the beginning of Rudra Puja there is shloka, ‘Na karmana na prajaya dhanena tyagenaike amritatvamanashuh’, what does it mean? 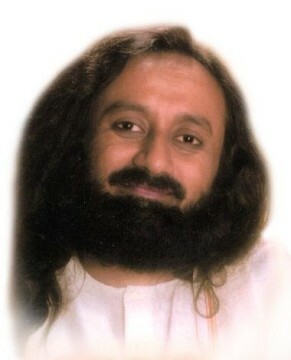 Sri Sri Ravi Shankar: Yes, this is a very nice one! This is said about the renounced Saints; about the enlightened people. This is usually the mantra that is said while doing pranam. The vedic pundits say, ‘Na karmana na prajaya dhanena’. It is not through actions, not through money, not through fame or progeny or the following. The nectar can be achieved only through renunciation. The next line says, 'Parena nakam nihitam guhayam vibrajate yadyatayo visanti'. Beyond the heavens, beyond sorrow and beyond all pleasures, that (shinning light) which is in the depth of one’s heart, the enlightened live there or are immersed in that space which is deep within one’s heart. There could be many meanings to this. These are the mantras that are said while doing pranam (bowing down or worshipping the divine). This is what we have always been saying. ‘Vedanta vijnana suniscitarthah', The enlightened saints are so certain about the knowledge of the Vedanta. What is Vedanta? Everything is one. What appears is not the truth, what is not appearing, that which is beyond all the appearances, that is the truth. And this has been scientifically established in the Vedas. The enlightened saints are so sure about it, not doubting it at all. They are very well established in the conviction of the Vedanta. ‘Sannyasa yogad-yataya-suddha-sattvah te brahma-loke tu paranta-kale paramrtat-parimucyanti sarve’ . With Sanyasa yoga (those who adopt the yoga of renunciation) they are of pure intellect, and not only do they attain the Brahman after leaving the body but they also show the path to everyone else and take everyone along while in the body. Just coming into that space of the Guru, not just physically but also mentally getting into that space itself brings you freedom. It is so deep and it is (gaganam) so vast, it has no (visokam) sorrow in it. So many words, they all indicate one thing, that is the space that is beyond all name and form. ’Tasmin ya dantastatu pasidavyam’, that which is inside, that is worth going near, that is what is worth appreciating. Yo vedadau svarah prokto vedante ca pratistatah tasya prakrti-linasya yah para-sa mahesvarah. Where are u looking for God? Don’t look for Him at all! This world is God, this life is God. Don’t blame the world around. It has various names and forms but it is all God. That which is said in all the Vedas, that which has been sung in all the scriptures of the world, that which has been established by Vedanta, that Divinity which is right within you, and everywhere around you. Can you please say something about the Devikavacham? The Devikavacham is the different names of the Devi taken to different parts of the body. It’s almost like Yoga Nidra but with names because every name has got some quality and some energy, and name and form are very closely related. ‘Kavach’ means armour, creating an armour around us. It’s very nice. The Devikavacham says the Mother Divine’s names that makes an armour around us, around our body. Especially during Navaratris, this is done on all the nine days. It is very important. Sit and listen to it. The protection is anyway there, but the listening somewhere does something -- it elevates one’s spirit. So many of our soldiers have been killed by terrorist attacks, what can we do? How can spiritual knowledge help soldiers? Spiritual knowledge is always useful in many ways. Soldiers have a lot of anxiety. If they have anxiety, knowledge can help them. There are so many soldiers committing suicide out of depression. Spiritual knowledge can help them come out of depression, it can help them to handle their mind, it can help them to better their intuitive abilities. For terrorism, education is required. Those who have become terrorists, we can’t do much about them, unless we get them into a jail. We can do work with them in the prison. But we can stop children getting into this mindset so that down the line, 10-15 years later at least we will not have any child with such a mentality. If you ask me how, I’ll give you an example. See, children, a few decades ago in the tribal regions never knew how to brush their teeth. Take for example, the African continent. There are many people who did not know how to brush their teeth! But today that is not the case. From young age we teach them how to brush their teeth. So dental hygiene has become a common thing. There was polio, now polio has been eradicated, how? We attended to it at the very infant level. If we could eradicate cholera, polio and these diseases by attending to kids, we can vaccinate them with anti-radicalization, we can vaccinate kids against terrorism. This is the only way we can do it. De-radicalize youths who have already gone into that mindset, and give vaccinations to kids who have not yet walked that path. Just go around and talk to people. Though India is a land of wisdom, unfortunately many have not realized it. For whatever reason, it has not reached to the common masses. The last two generations and a long colonial rule that India has undergone has sidelined or destroyed the wisdom. That is why many people are at loss. This is the reason we have padayatra so that whatever little wisdom we have, we can start sharing it with people, asking them to meditate and sing along. That is what a padayatra is all about. The people love it. When you go in a group and share with them, they will enjoy it. In this country, unfortunately, the wisdom has been confined to certain sections of society or for some elite group only. It was not available for the masses. 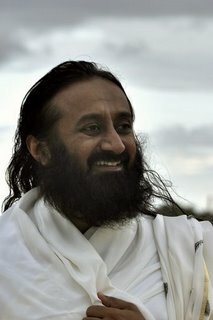 For the first time, The Art of Living has said, 'No, we want to go to the masses'. We need to re-instil the faith in unity, in diversity, freedom to worship, freedom to honour and co-exist, this is the root of ancient Vedic culture. Let’s honour everybody because the whole world is one family, this is the message we need to give. 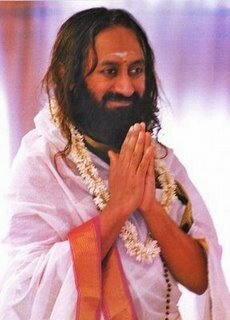 When we go on padayatra, tell people who are moving away from their roots to hold on to your roots. There is a deep sense of low self-esteem in this country that has to be removed. Because of the long colonial rule and other things, people don’t honour what they have and what they are. We need to tell them, "Hey it’s okay the way you are, your belief system is fine, there is nothing wrong. You won’t go to hell!" This reassurance is needed. That’s all we need to tell them -- have faith in yourself, in your traditions, your customs and have a broad vision. Fanaticism is no good. It’s not a sign of intelligence. Fanaticism is not a sign of intelligence. Intelligent people are very scientific, open, happy, inquisitive, innovative and they are an inspiration to others. Fanatics are scary, they will only bring you fear. They put fear in others. Yesterday when I was in Tamil Nadu, people were telling me, earlier in the villages, everyone ate together. For the Hindu festivals, Christians would all come, now in the last decade or so, the division has become much bigger. People say, "Don’t take prasadam (food offered to the divine) from the temple. Even if it is given, they just throw it on the floor because fear has been induced in the mind that if you eat prasadam or some food from a temple, you will go to hell. This is so unfortunate. People were sharing with me that this has become a big division among the three communities nowadays. That is why The World Culture Festival is being celebrated. It will bring everyone together. So you must tell the people that everyone is a child of God, there is no devil who will enter into you if eat your prasadam. Fear and guilt has been put into people’s mind to keep them aloof. This needs to be gotten rid of.